If Pep Guardiola is calling today’s game “a real final”, it’s got less to do with our visit to the Etihad this afternoon and more to do with Liverpool breezing past Bournemouth yesterday. The world and his wife have already well and truly written off our chances of getting anything from this one and I’m not sure we have any real argument against that assumption. We looked much better against Huddersfield and there were some positives to be taken, particularly the understanding Hazard and Higuain seem to have developed already. City are no Huddersfield though, and they’ll be looking to pinch top spot back from Liverpool as quickly as possible. We dropped out of the top 4 yesterday with United’s win against Fulham and I don’t see that position changing any time soon. Chelsea head coach Maurizio Sarri meanwhile, says “At the moment, in my opinion, Manchester City are the best team in Europe. They are an example for every club. We need to work. Guardiola is in the third season in the Premier League, Klopp in the fourth or fifth, but we need to work. I don’t know another way. We need only to work and try to reduce the gap. 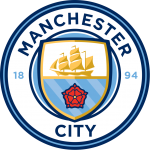 For Manchester City, Benjamin Mendy, Vincent Kompany and Claudio Bravo are all out but Kevin de Bruyne and Raheem Sterling should both return after a rest for Wednesday’s game against Everton. 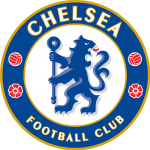 For Chelsea, Callum Hudson-Odoi (fever) and Gary Cahill (back) are not available although Antonio Rudiger (knee) could return. Manchester City have lost 25 Premier League matches against Chelsea. Chelsea are the only side to win more than two top-flight fixtures against a team managed by Pep Guardiola. Manchester City have scored 27 goals in their past five games at the Etihad Stadium in all competitions. Manchester City have dropped 16 points this season, two more than in the whole of 2017-18. Three of City’s four league defeats this season came after they scored the opening goal. Chelsea could lose four successive away matches in all competitions for the first time since January to March last year.